Major purpose of this lecture is to explain on Data Warehouse. Data warehouse is a collection of methods, techniques and tools used to support knowledge workers—senior managers, directors, managers, and analysts—to conduct data analyses that help with performing decision-making processes and improving information resources. 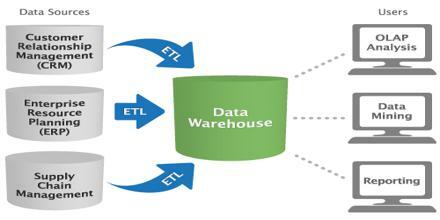 Here briefly describe on three-tier data warehouse architecture, they are: the bottom tier, the middle tier and the top tier.